Do you already know the dates for your holidays 2019? Welcome to the ideal destination! We are sure that you will be captivated and that your stay will be made to be unforgettable. 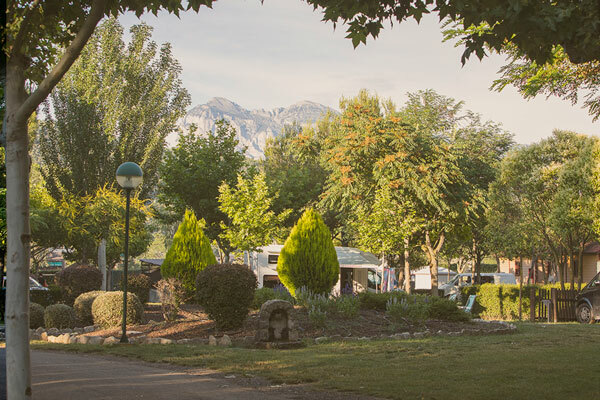 Our campsite is very close to the magnificent National Park of Ordesa, Sierra de Guara and the beautiful village of Ainsa, ensuring that your holiday, whether with family or friends, will be a success. Without a doubt, if you desire a campsite with charming bungalows, Camping Boltaña is the best option for you, your family and your friends. All our plots are perfectly equipped to guarantee a comfortable stay. Raúl Florenza... after traveling round the world, he goes back to his origins, to Huesca, to the Pyrenees, with the intention to reveal these experiences, although always respecting the product, the technique and the Tradition. We use own and third party cookies to improve our services and show related advertising to your preferences by analyzing your browsing habits. If you go on surfing, we will consider you accepting its use. You can change the settings or get more information here. Book before May 31 and get a 10% discount over your total bill. Offer valid for stays of 7 nights the whole season except from 14/07/2019 to 26/08/2019.